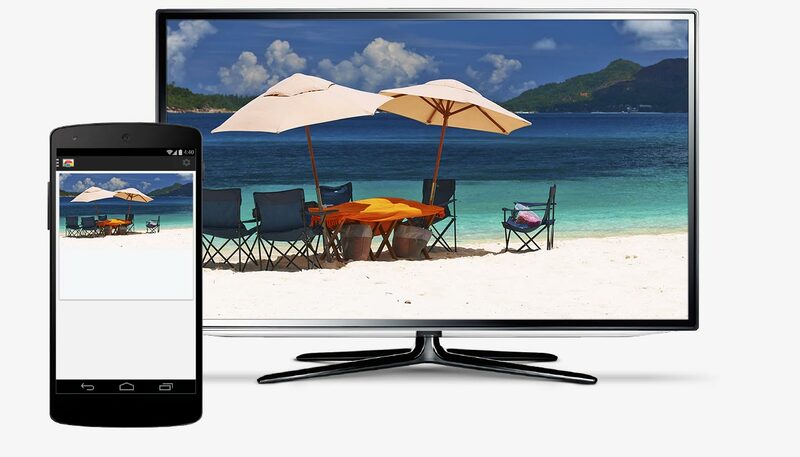 Cast your favorite entertainment from your phone directly to the TV. 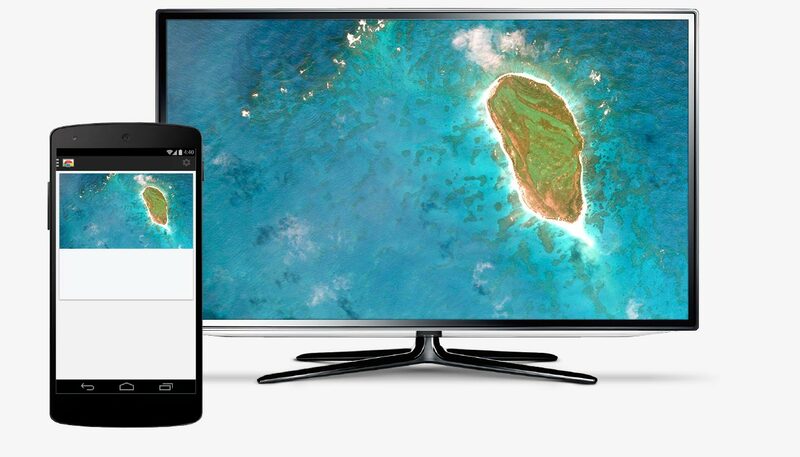 With Chromecast, your phone is your personalized remote control. 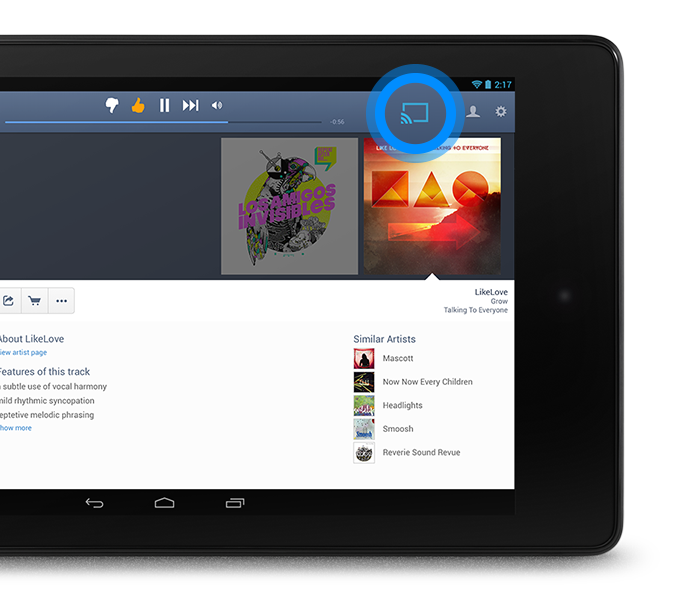 Use the apps you know and love on your phone to search and browse, play, pause, rewind, control the volume and even make playlists. While casting, you’re free to use your phone for other things. 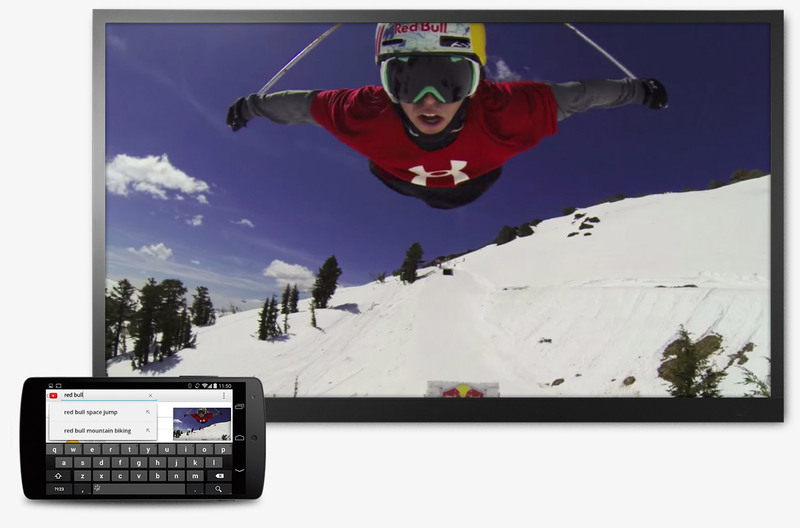 Your friends and family can cast to the TV using their own phone or tablet, too - with no additional set-up required. Everyone can sit back and enjoy together on the biggest screen in the home. When you're not casting, you can turn your TV screen into a beautiful backdrop filled with artwork, personal photos, satellite imagery and more. 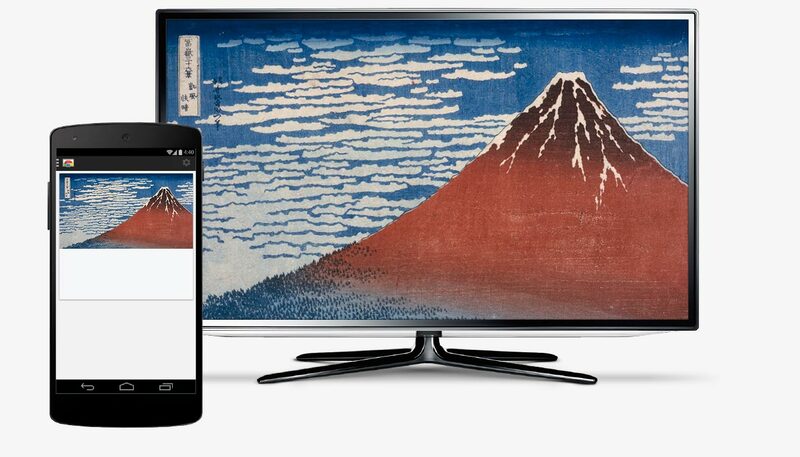 Learn how to set up this feature at chromecast.com/backdrop. 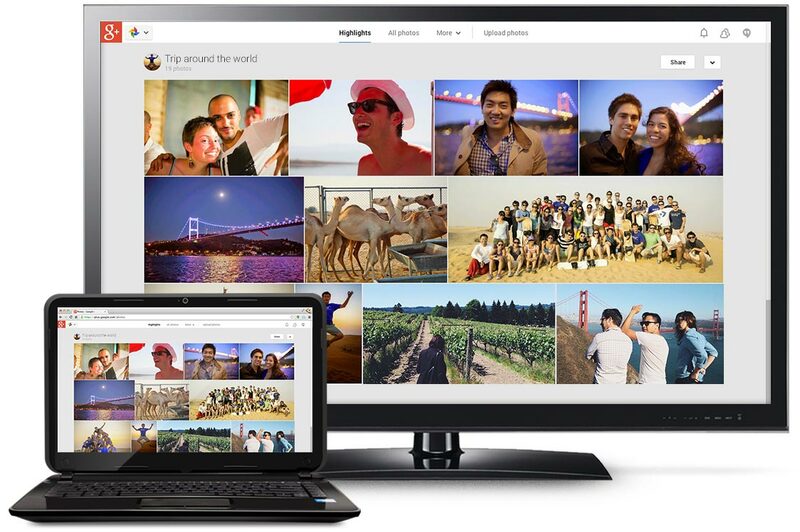 It’s easy for everyone to enjoy Chromecast. It works with the devices you already own including smartphones, tablets and laptops. Plus, it automatically updates with new features and we're adding more apps all the time, so your Chromecast keeps getting better. 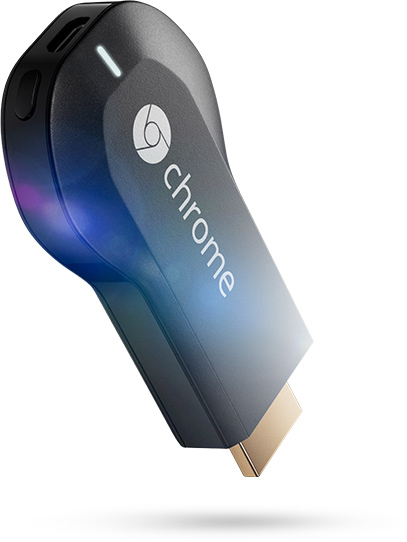 It takes only a few minutes to set up, and at $35, it’s affordable to get one for every TV in the house. 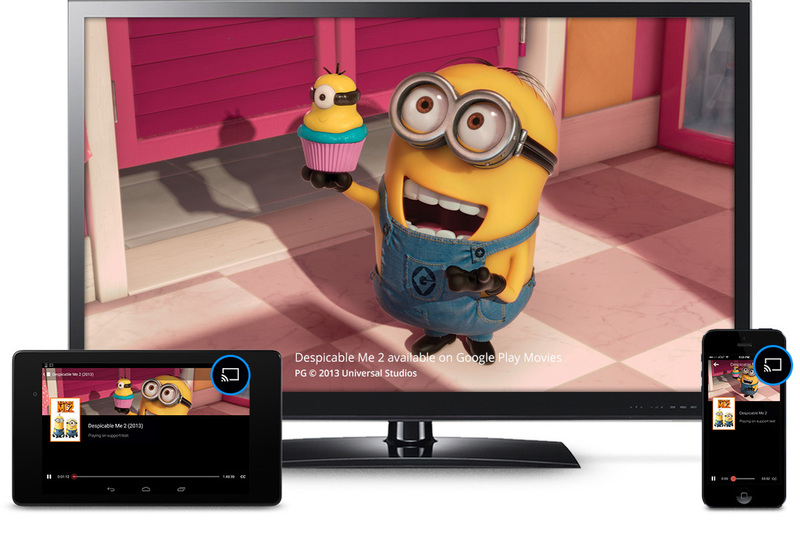 Your friends and family can cast to the TV using their own phone or tablet, too. With the guest mode feature, they don't even need to connect to your WiFi. Everyone can sit back and enjoy together on the biggest screen in the home.